Are you looking for the best method to display optin popups on your website? If so, you’ve probably seen recommendations for Thrive Leads and OptinMonster, the most popular lead conversion tools on the market. But which one is truly best for your needs? In this article, we’ll compare OptinMonster vs. Thrive Leads in a number of important categories to give you a complete report to analyze for yourself which is the tool most worthy of your time and money. Since launching in 2013, OptinMonster has been used by over 700,000 websites, showing off professional-looking optin forms to over 21 billion online users. As the best lead conversion tool in the world, OptinMonster is constantly upping the ante on innovation and improving their product. Built by a team who’ve made numerous successful WordPress plugins, OptinMonster puts enterprise-level technology into the hands of everyday users. You’ll be able to create eye-catching, highly converting optin forms without having to touch a single line of code. It also works with all the most popular email marketing services. OptinMonster’s one-of-a-kind Exit-Intent® Technology, along with its Geo-Location Targeting tools, make it truly unique. Thrive Themes launched in 2013 and took the internet by storm, becoming one of the most popular WordPress themes marketplaces available. 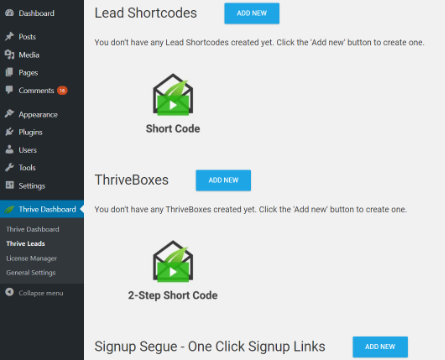 Shortly after, in 2015, Thrive Themes got into the plugin game with Thrive Leads. With over 79,000 installs, Thrive Leads is making waves in the content marketing world. 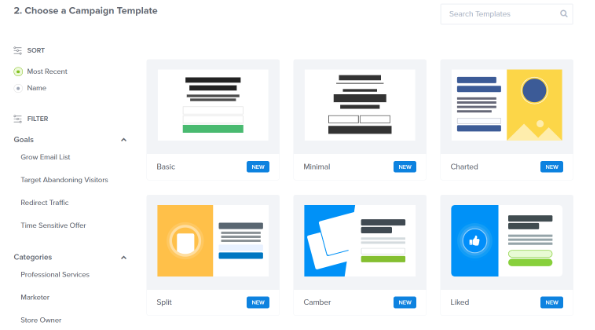 As a WordPress theme building company, it’s not surprising that Thrive Leads would include numerous beautiful pre-built templates to choose from. Nor is it a surprise that the Thrive Leads plugin works so well with WordPress websites. As a standalone solution, OptinMonster works with any type of website. While OptinMonster does have a connector plugin available to integrate it perfectly with WordPress sites, you can also use it on Squarespace, Blogger, Shopify, Magento, an HTML website, or any other platform. In order to access OptinMonster’s features, simply log into your account on their website and build your optin forms from your user dashboard. Since OptinMonster is a standalone app that’s accessed through its own website, you’ll never have to worry about taking up bandwidth on your own site. You also won’t have to worry about relying on the speed of your web hosting provider slowing down your campaigns. OptinMonster is always speedy and reliable. In addition, OptinMonster offers automatic cloud backups for your data as well as the ability to manage multiple website campaigns from one location. Thrive Leads is a WordPress plugin. In other words, Thrive Leads was built exclusively for WordPress websites and you must own a website built with WordPress in order for it to work. It cannot be used on any other website platforms. All of your settings are configured on your WordPress website when using Thrive Leads. And any leads you obtain, along with your analytics and additional data are stored on your WordPress website as well. You’ll also be responsible for your own backups and security as Thrive Leads does nothing to protect you from data loss. When it comes to comparing OptinMonster vs. Thrive Leads, website support is one of the biggest issues that stands out. Thrive Leads is a fantastic WordPress plugin; however, it’s limited when compared to OptinMonster’s incredible flexibility. Simply click on the elements you’d like to edit within your chosen template, or drag and drop new element blocks onto your campaign from the left-hand side. It couldn’t be simpler! OptinMonster’s intuitive interface is so easy to understand, even an absolute beginner can create a fresh marketing campaign with ease. Across the top of the screen, you’ll see blue tabs that’ll help guide you through the complete process, from building to integration to publication. Although the interface is nice and tidy, nothing is hidden. You’ll never find yourself fumbling or lost, trying desperately to figure out what to do next. Everything is laid out for you in the most efficient, user-friendly way possible. 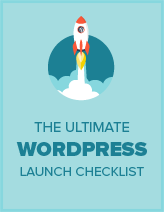 Since Thrive Leads is a WordPress-exclusive plugin, you’ll first need to install and activate it on your WordPress website before you can begin. If you need help, check out our guide on how to install a plugin. Chances are, in order to use this plugin effectively, you’ll need to spend a good deal of time reading their documentation, looking up tutorial articles online, or even browsing YouTube how-to videos. It’s got quite a steep learning curve, especially in comparison to OptinMonster. However, we’ll do our best to give you the gist of the process here. Before you can get started, you’ll need to add a Lead Group. Once you have a Lead Group set up, then, and only then, can you take action to begin building a proper campaign. As you can see, everything is tucked away and hidden from the user. You’ll have to spend a great deal of time poking around on your form in order to find everything you need to make it work properly. The actual builder is fairly simple thanks to the drag and drop feature; however, getting it to actually behave properly can take a lot of needless tweaking. 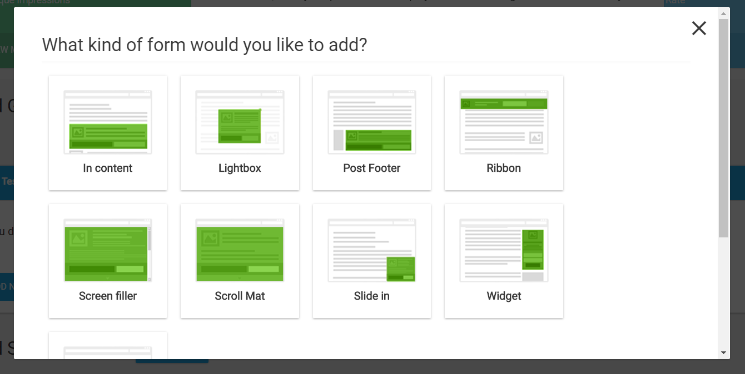 In the end, the final product (popup) produced by the Thrive Leads plugin is top notch. But at what cost? Time is money and you’ll waste a lot of time attempting to learn Thrive Leads. When it comes to ease of use regarding OptinMonster vs Thrive Leads, OptinMonster is the clear winner. To use OptinMonster on 1 website, you can choose the Basic plan at $9/month. For use on 2 websites, as well as additional premium features, the Plus plan is available for $19/month. Their most popular plan, Pro, includes every feature available for 3 websites and costs $29/month. Or, if you have larger needs, you can subscribe to the Growth plan at $49/month. Thrive Leads offers various license options, starting at $67 for 1 site license. The other 2 license plans are $97 for 5 site licenses, or $147 for 15 licenses. Alternatively, you can opt to become a Thrive Themes member for $228/year. Doing so gives you access to all of Thrive Themes’ WordPress themes and available plugins, including Thrive Leads; and 25 site licenses. Thrive Leads includes 1 year of technical support with any license plan you buy. Additional years of support can be purchased for $40/year. The Thrive Themes team has also put together several video tutorials and blog posts to help new users find their way around the Thrive Leads plugin. As for OptinMonster, all subscribers, regardless of their plan, have access to their ticket-based support system at no additional charge. Users also have access to over 200 articles covering everything anyone could ever want to know about how to successfully use OptinMonster. In addition, Pro and Growth members have access to priority support at no extra charge. OptinMonster vs. Thrive Leads: Who Wins? In the end, the choice is entirely up to you. Both OptinMonster and Thrive Leads are quality products that do exactly what they claim to. Personally, we prefer OptinMonster for its ease-of-use, killer customer service, and unbeatable prices. Plus, the fact that this standalone app can be utilized with any type of website gives us exactly the power and flexibility we desire most. Of course, if you’re purely a WordPress user and you don’t mind tackling a steeper learning curve, Thrive Leads could work well for you. For what it is, the pricing options can be a bit expensive; however, if you’re interested in any of Thrive Themes’ other products (themes, plugins, etc.) in addition to Thrive Leads, then their membership bundle is definitely worth considering. Whichever you end up choosing, we hope you’ll tell us about it in the comments. It’s also recommended to check out this comparison between OptinMonster vs Sumo. We also hope this article helped you make a confident, informed decision. If you found this article useful, you might also enjoy our tutorial on how to create a content upgrade.